apparently internationals will be rested even more than usual this season. I'd say that won't effect Ulster much but then when I reflect on the difference in the team when Best was in there versus when he was out, he raised our level big time. Coetzee will compensate if he can stay fit, but that's a big if. Daly has the size to be an option for Joe if he gets a big run of form. Ben Jones, Niall Hilliard, Ryan Doyle and Jack Hanley representing Leinster U18’s V Northampton from MU Barnhall. Hmm, Cooney would be a massive deal if he's rested. We don't have a scrumhalf if so. I don't think he will be all that much though. Jordi we'll be able to manage, keeping him available for the big games. Last edited by unseenwork on Tue Aug 14, 2018 11:21 am, edited 1 time in total. Hmm, Cooney would be a massive deal if he's rested. We don't have a scrumhalf if so. I don't think he will be all that much though. Herring gets rested as well as Best then that's just more gametime for McBurney, so that'd be a positive. Best and Cooney are definitely the big ones, Henderson already spends enough time out of team between injuries and international rest. Mostly the likes of Sexton, Henshaw, Ringrose, Rob, Larmour and the tight 5. We've enough established depth in the tight for to rotate guys in and out to manage gametime. More opportunity for Ross Byrne, ROL and various wingers (Daly, Adam Byrne) to get lots of gametime and continue developing. Good that we have Tomane in the mix now. Backrow will be a bit thin on the ground to start with, but Fardy will fill in there if needed in big games with Toner/Ryan playing second row. Otherwise it means more opportunity for Deegan et al. to push on. Daly has been unavailable for a large chunk of his post u20 career. Some people being very harsh on him. He may not have been a Ringrose but nothing to say he's not a Beirne. What with the best academy in Europe and all that. Anyone know what a contact skills coach does? Hugh will do a good job, he is a tough f*cker and been heavily involved in the academy for the last few years. Might make it harder to win everything again. But as you rightly point out, the academy is excellent, Ulster fans should know this as you watched a Leinster academy player star for Ulster last season and of course watched a team made up of leinster academy players defeat Ulster twice and win the double. Last edited by irishrugbyua on Tue Aug 14, 2018 12:58 pm, edited 2 times in total. that's some extreme optimism on Daly. Beirne was a better player as a u20 and is a better athlete. Hope i'm wrong on Daly, but I just don't see it based on his career to date. I was impressed by Daly at u20s. And it's not exactly extreme optimism to say he might start performing to a provincial standard once he actually gets an injury free run. The Beirne thing was more comparing the injury issues and unavailability only to start performing with a run of games rather than saying he was going to be making Irish squads within a year. 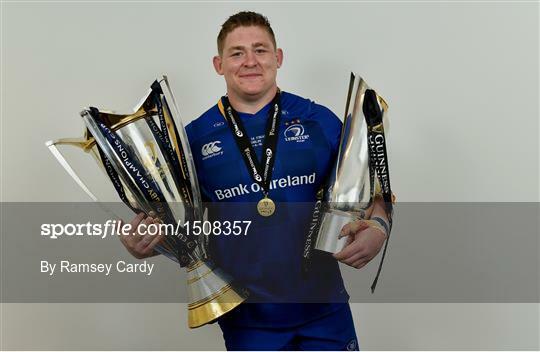 As I said, he will be doing very well to have a leinster contract next season, in fact he is pretty lucky to have one now. We shall see how he goes this season, if he stays healthy, but i'm not expecting much. More hope for Conor O'Brien as a big 12/13. Lots of 5th years there? Yep, as suspected Carberry is viewing Munster as an extended loan exercise just to put him in the shop window for Japan. I'd be surprised if he came back, but stranger things have happened. Hard to know about Blackrock. Schools defeated Club side and drew with 19's. Was there not a 42.ie article this week (might be Kinsella’s, not sure) where an Ulster player was quoted as saying something that sounded like Jordi is barely going to be playing this year? I think the fact that he does have a contract shows that those who matter rate him higher than you do. Yup it does, still doesn't mean he is up to much though. As I said I hope I'm wrong. I think keeping on a 25 year old who has barely played suggests he's considered better than 'not up to much'. Given he's barely played in the last 5 years, what is your basis for writing him off? Surely you could at least give him a chance to prove himself? They should have anybody who is already an established international playing a bit of league rugby in the run-up to the Euro windows, then playing in Europe. The rest of the time should be devoted to getting them rested and right for Ireland. That way there is plenty of opportunity for the young bucks and fringe players to put a big season in and widen the options. Then we will win the RWC. Look i'm not getting into it anymore, we disagree. We shall see how he performs if given a chance by Leinster. Are you sure you're not getting into it? Who other than Henry has gotten this testimonial year treatment at Ulster? Is Cosgrave the one who was the best player on that Michaels JC team that won every game for a couple of years? Yeah, he played Leinster and Ireland schools last season as a under-17, but at fullback. Which may be his long term position, hard to know right now. They haven't done it before, he is doing it for Chest, Heart & Stroke. Ah good man himself, it's a long shot but I'm hoping he does have a bit of an Indian Summer this year. What's caused this recent commenting on Henry having a decent season? Based on anything tangible, or just blind optimism? Pure optimism, respect for him as a player too. Daly never impressed for Leinster in his few caps. He didn't even look like someone who might go on and impress to me. He didn't use his size well at all. Would be delighted if he went on and had a big season but I've seen nothing to suggest he might. I see Bleeyeneyendalalaaal is crocked again. We'll be seeing a lot of Carbery at 10 so. Wonder if he was told the situation when being coerced into moving.